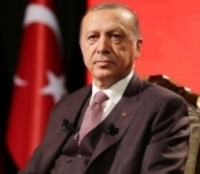 The circular letter of President and Justice and Development Party (AKP) Chair Recep Tayyip Erdoğan concerning the "Preparations for the Investment Programme in the Period of 2019-2021", which has introduced the economic priorities and savings plans, has been published on the Official Gazette. Erdoğan has stated that in the period of 2019 and 2021, when the New Economic Programme will be in effect, the primary goal will be "to stabilize the economy and achieve sustainable growth" and the main priority will be "to maintain the macroeconomic and financial stability." "First the projects that will end in the shortest time..."
In the letter, Erdoğan has stated that during the indicated period, "priority will be given to those projects, which will end within the shortest time."